Accepting the grant at Lord Baltimore Elementary School are, from left: Mia Lambert, Kristian Victor, Lord Baltimore Assistant Principal Barkley Heck, Mark Cappo, Meredith Goldman, Chloe Kishel, Chase Mutz, Ben Miller and Lord Baltimore Principal Pam Webb. ccepting the grant at Phillip C. Showell Elementary School are, from left: Showell Principal Christy Kerr, and students Oscar Gonon-Castro, Kiley Harant and Summer Rose. 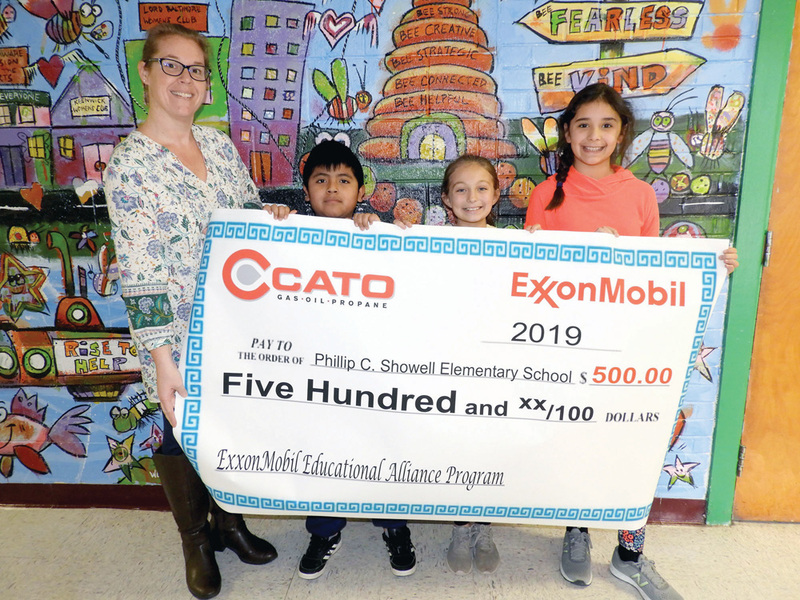 Lord Baltimore and Phillip C. Showell elementary schools have each received $500 grants from the ExxonMobil Educational Alliance for the purchase of classroom supplies for math and science. The grants were sponsored by Cato Gas & Oil and local Goose Creek Food Stores. Officials visited the schools on Wednesday, Jan. 30, to present checks to the school principals. 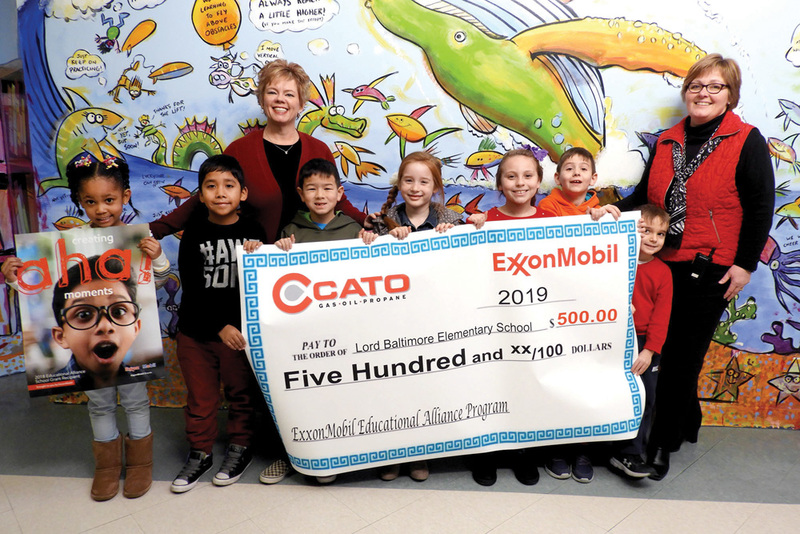 The ExxonMobil Educational Alliance program is designed to provide Exxon and Mobil retailers with an opportunity to invest in the future of their communities through educational grants to neighborhood schools.